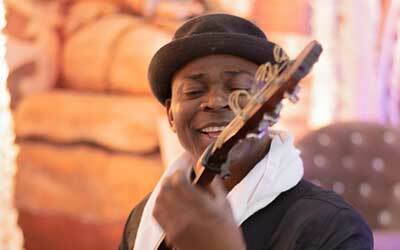 Saturday René Tshiakanyi Live@ The Shongweni Farmers & Crafts Market. The world that seemed somehow dull and cold has come alive once again. Its filled with the color and the scent of delicious greenery. Spring is indeed a miraculous experience. Join the Spring experience this Saturday, October 06th as René Tshiakanyi takes place at the main stage From 9.30 AM to 11.30 AM. You can expect the best of the French repertoire, as well as songs in English, Afrikaans & Portuguese.